Author, Peter Lerangis returns to Hicklebee's with the first of a new series, Seven Wonders: The Colosuss Rises. Rick Riordan, author of the Percy Jackson series calls Seven Wonders "a high-octane mix of modern adventure and ancient secrets." Visit Mr. Lerengis' website to find out more about this and his other books. You can also download a free prequel to this new series. Lerangis is the author of more than 160 books, including books #3 and #7 of the wildly popular 39 Clues series. He was won numerous awards, most recently the Schneider Family Book Award (honoring an author or illustrator for a book that embodies an artistic expression of the disability experience for child and adolescent audiences) for Somebody, Please Tell Me Who I Am, co-authored with Harry Mazer. The 3rd book in the Cahills vs. Vespers series, (which is the follow up to the worldwide bestseller The 39 Clues series) is The dead of night. And it's author, Peter Lerangis, is here! The Vespers have crossed a line. Amy and Dan were devastated when the Vespers kidnapped 7 Cahills around the world, holding them hostage until Amy and Dan delivered an impossible ransom. But at least the hostages were Cahills - members of the world’s most powerful family, trained to face all odds. Peter Lerangis is the author of more than 160 books, which have sold more than 4.5 million copies and been translated into 28 different languages, including two books in the New York Times–bestselling series The 39 Clues (Book 3: The Sword Thief and 7: The Viper’s Nest) and co-authorship (along with Rick Riordan, Gordon Korman, and Jude Watson) of Book 11: Vespers rising. To the new The 39 Clues: Cahills Vs. Vespers series, he will contribute Book 3: The dead of night. He is also author of the hilarious, edgy YA novel wtf, and the Drama Club series, about a group of high school theater kids in a town where theater is big-budget and life-changing. His novel Smiler’s Bones, based on the true story of a Polar Eskimo boy orphaned in New York City at the turn of the 20th century, was selected as a N.Y. Public Library Best Books for Teens 2006, a Bank Street Best Books of 2006, and a Junior Library Guild pick. His novel Somebody, Please Tell Me Who I Am, a collaboration with Harry Mazer, will be published in 2012, along with a three-book series, Perfect. He is a Harvard graduate with a degree in biochemistry. After college he became a Broadway musical theater actor. He has run a marathon and gone rock-climbing during an earthquake, but not on the same day. He lives in New York City. 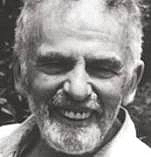 Harry Mazer is currently considered a "single author." If one or more works are by a distinct, homonymous authors, go ahead and split the author. Harry Mazer is composed of 1 name.